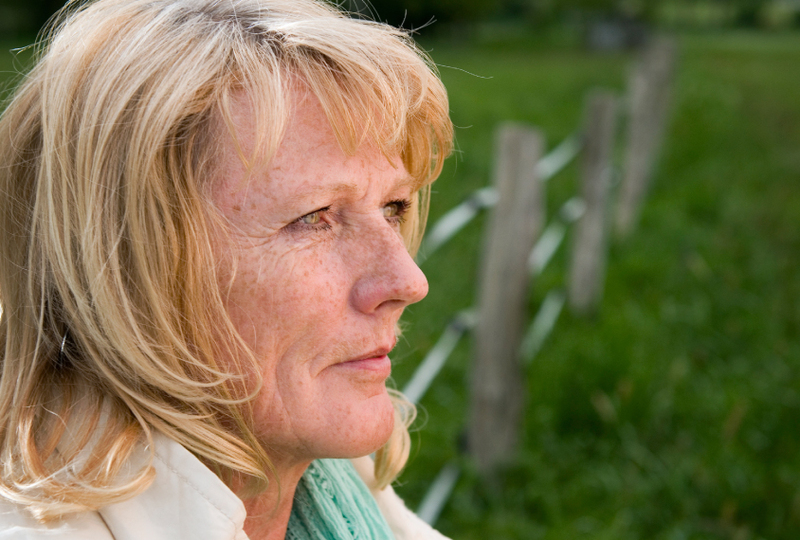 Warning sign: Older adults with depression may warrant a closer look for features of autism. Fifty years ago, few people had heard of the term ‘autism,’ let alone known anyone with a diagnosis. Not surprisingly, many adults with autism over the age of 50 have never been diagnosed; others received their diagnoses late in life. In either scenario, these adults enter old age facing a loss of independence that comes with unique challenges — ones that society is ill-prepared to address. An article I wrote last year highlights how little we know about aging with autism. Since then, however, there have been a smattering of studies aimed at better identifying and understanding autism and aging, along with a spate of editorials about how sorely such studies are needed1,2,3. In most countries, a diagnosis of autism might help people gain access to support services — such as visits from aides, which can make living on their own possible. And knowing that someone has autism could help others understand why certain routines, for example, may be critical for that person’s well-being. In a rare study looking at older adults with autism, Hilde Geurts, a neuropsychologist at the University of Amsterdam, followed up on the observation that many of the men and women she sees in her autism clinic also have depression. This suggested to her that older adults with depression warrant a closer look for signs of autism. Her study, published late last year, revealed that 31 percent of adults between 60 and 90 years of age who have depression also show signs of autism, compared with only 6 percent of older adults without depression4. Geurts and her colleagues are following a group of older adults with autism to see whether certain skills track with depression. They’re particularly interested in whether depression might stem from a sense of helplessness in one’s daily life. “We want to see whether mastery — whether you can make your decisions yourself — has an influence on how strong the relationship between autism and depression is,” she says. In a study published last week, Geurts and her colleagues documented the prevalence of psychiatric disorders and symptoms in a group of 344 adults, 172 with autism5. The study included 48 older adults with autism — individuals between 55 and 79 years of age. Interestingly, psychiatric symptoms were less prevalent among the older adults with autism than the younger ones. The researchers found the biggest discrepancy with social anxiety, suggesting that adults with autism are developing ways to cope with social situations over time. The independence that allows adults to develop these coping skills is often hard-won. But independence fades, often dramatically, with age, as physical and mental capacities wane. For people with autism, who often cherish their self-determined routines and even solitude, the decline can be especially traumatic. A number of adults with autism are now voicing these fears. “The isolation that many people on the spectrum experience due to social and communication difficulties is likely to worsen with age,” Susan Dunne, a woman with autism in her early 50s, wrote in a blog post for The Guardian. “Having a chirpy care worker turn up at unexpected hours to make small talk and suggest joining bingo at the day centre is unlikely to be of benefit, however well meant.” Her perspective echoes the sentiments in many comments made in response to my article and others like it. Researchers are aware of these problems. But because so few elderly adults have an autism diagnosis, healthcare workers have little experience helping them navigate the pitfalls of old age. And the unusual needs of most elderly adults with autism are likely going unrecognized and unmet. Figuring out how best to look after adults with autism is not easy, but researchers are finally taking strides toward solutions. The first step is acknowledging that autism exists in this older generation. The next steps will involve pinning down what autism looks like in these older adults — and applying that knowledge to help them adjust to aging. Duh, fifty years ago we didn’t know about autism because it hardly existed. 1 in 10,000 affected, if even that many. Now it’s 1 in 29 boys. Stop with the nonsense and the lies. Plainly the lies are meant to avoid the truth-that vaccine can and do cause autism. Autism increased along side the increase in the number of vaccines in the early 1990’s. Autism is medical. It’s been an epidemic for close to 2 decades now. Educate before you vaccinate and stop listening to these people that make up stories about the autism epidemic. Scott, What is the name of the publication you reference? I tried the link, but it didn’t work correctly. I’m very interested in it because I am a 57 year old autistic woman ( (diagnosed recently ). A bit of a pricey book however. Perhaps the best way to address this is for GPs and other professionals to take up the free training available here: http://www.rcgp.org.uk/learning/online-learning/ole/autism-in-general-practice.aspx and start actively helping identify undiagnosed adults with autism. Perhaps GPs and other professionals ought to stop telling autistic adults “why do you want a diagnosis, you’ve managed this far without one” and “there are no autism assessments for adults” and “we don’t have anywhere locally to assess adults” and “we don’t have funding for adult assessment” then. It’s no good saying there are few older adults diagnosed if nobody is prepared to allow them access to diagnosis. I am single 54 years age female and was diagnosed autism spectrum disorder at the age of 51. I have very poor social skills and I am on psychiatric medication for chronic severe anxiety and chronic depression. I have no social network and have no friends as I have never learned how to make a friends and keep them. I have a mild learning disability and was assessed at school and found to have a low IQ. My Northumbrian accent has disappeared and now has been replaced with a posh accent. I did not do this intentionally and I do not know how to get my old accent back. I also have chronic pain syndrome aka Fibromyaligia. When I was diagnosed with ASD I was not given any post diagnostic support as it was only offered to those between the ages of 18-30 as I was deemed to old and that they thought I did not need even though I asked them for support. I am also on medication for epilepsy which I had since childhood and autism was not very well known and I would suspect that very few GP’s would have heard of the condition, let alone the general population. I am still not getting any autism specific support for me or for my siblings who support me as best as they can. The mental health specialists that I have seen in the past have generally little or no understanding of autism and do not know how to adapt their therapies for those on the autism spectrum. My special interests are astronomy which I have always been very interested in since I was a child, as well as a life long interest in science fiction and comic book superheroes. Bwahahaha. You need to rename the article. “without much support” should be changed to “No support”. There is NO SUPPORT for autistic adults. I live independently in my own home and because I am autistic I cannot coexist with the kind of culture I would be forced to live with if my home were taken away from me to put me in an assisted living facility of any kind. Nursing homes are no different from death row in any prison and once you go in you never return; your life has ended. To me, the background music, the daily activities such as watching “Good Morning America” in the communal room and eating Kellogg cereal for breakfast is a way of life so destitute of meaning that destroys the possibility of being your own person in your own environment that you control that it could no longer have any value. All I want to know is how can I insure that I not leave my home alive if such a day comes. How can I be put to sleep or guarantee a way I can put myself to sleep if I can no longer live in my own home? If they can do this for stray animals all I want is this same mercy and dignity the stray animals get. Autism is not abnormal. Our dysfunctional, over-populated society is abnormal. Humanity always needed worriers as much as warriors. It was not a disease, but the stuff of which ‘seers’, and ‘prophets’ were made to balance the more reckless members of a community.